Be a female resident of Union County, Pennsylvania. Be at least 12 years of age and not over 15 years of age by June 1 of the year entering the pageant. Have written consent from parents or guardians. Dress in Sunday Best or Flower Girl dress. Attend rehearsal and the pageant. Must not participate or hold title in any other pageant during her reign. Interview with the Pageant Judges. Poise and presentation (appearance and neatness) during the contestant introductions on stage. Ability to communicate (speaking ability) during the question and answer segment on stage. Help out during fair week if available (help pass out ribbons at livestock shows, Kids Day, etc.) at the Queen and Fair Queen Committee’s discretion. Attend Christkindl Market and help pass out candy canes with next year’s fair dates on. 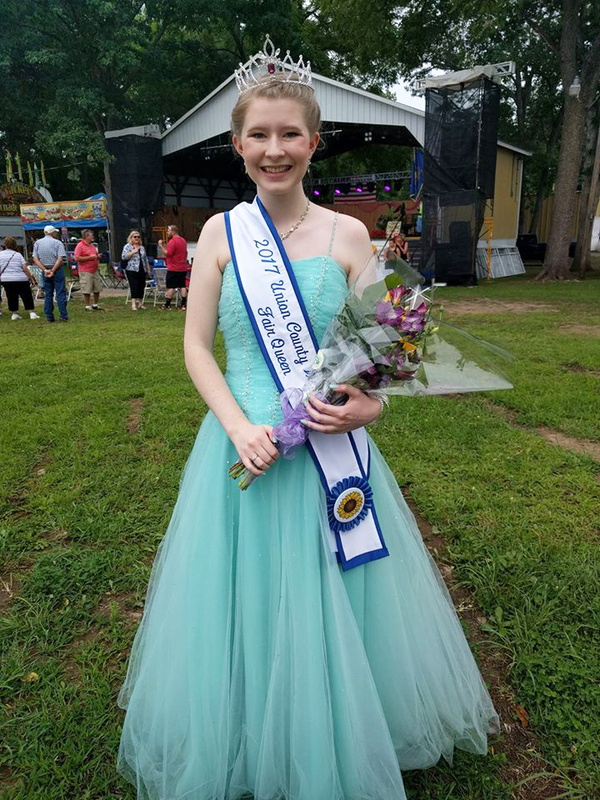 Attend 2018 West End Fair Pageant. Attend other events as requested by the Fair Queen. The Princess will receive a crown and sash. Once the Princess has completed her year of reign and met all her responsibilities, she will receive her cash award of $50.00 at the 2018 Pageant.